The annual telehealth conference will demonstrate how technology and innovation are transforming care and highlight how regional and national policy is driving the market. Stop by the MobileHelp® exhibit hall at the conference and see how MobileHelp Healthcare technology is driving innovation to make remote patient monitoring (RPM) accessible to any size organization. 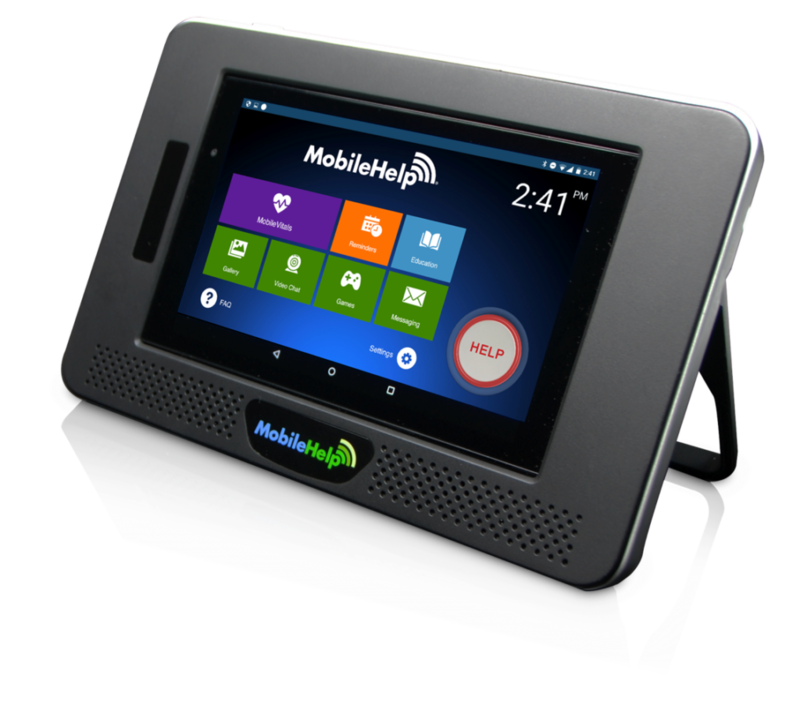 You can see a demo of MobileHelp Touch™ – the only system that combines RPM and Personal Emergency Response System (PERS) in one unit. Ask us about provider reimbursement opportunity for RPM under CPT 99091. Chris A. Otto, SVP, MobileHelp Healthcare Division will participate in the special ePoster sessions at the conference, presenting at 3:15 p.m. on Thursday, May 31. The ePoster sessions are designed to provide attendees with how technology and innovation are transforming patient care. Titled “Surveying the Industry: The Case for Remote Patient Monitoring, by Healthcare Professionals,” the presentation will summarize a recent survey on the use of remote patient monitoring among healthcare organizations and professionals. 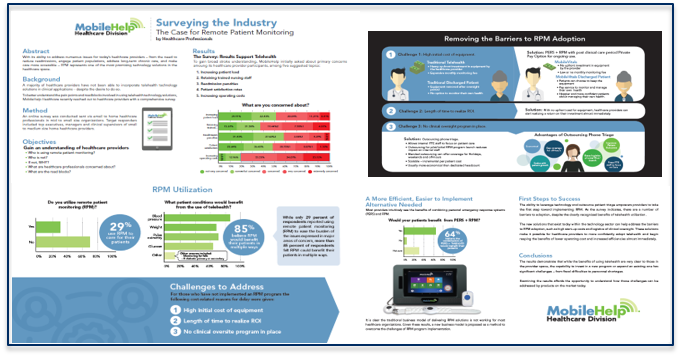 The survey results demonstrate that while the benefits of using remote patient monitoring are very clear to those in the provider space, the capability to invest in a new program or expand an existing one has significant challenges – from fiscal difficulties to personnel shortages.